Sterling silver, along with real Purple and Orange Oyster Shell. 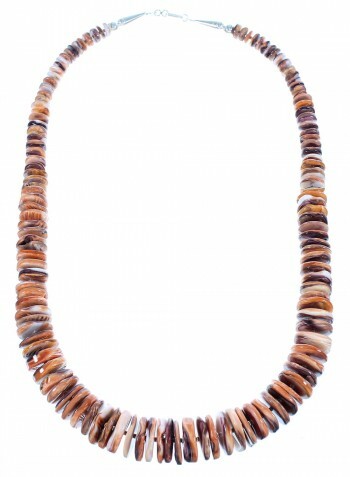 Necklace measures approximately 23-1/2" long. 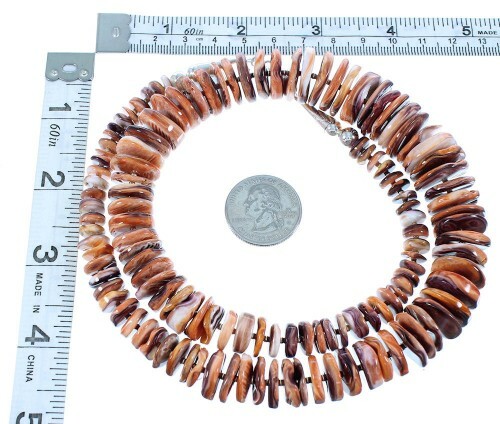 Necklace weighs 128 grams. This necklace is a Navajo classic! This piece of Native American jewelry is Navajo hand strung out of genuine sterling silver and real Oyster Shell beads. 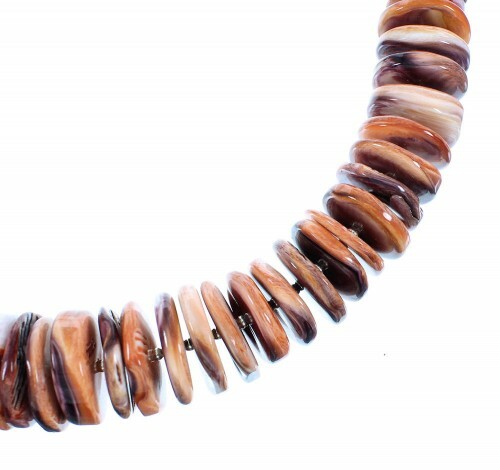 The necklace consist of: 2-mm and 7-mm silver round beads, along with Purple and Orange Oyster Shell wheel beads that beautifully graduate, allowing the largest center beads to measure 18-mm and the smallest beads at the end to measure 8-mm. 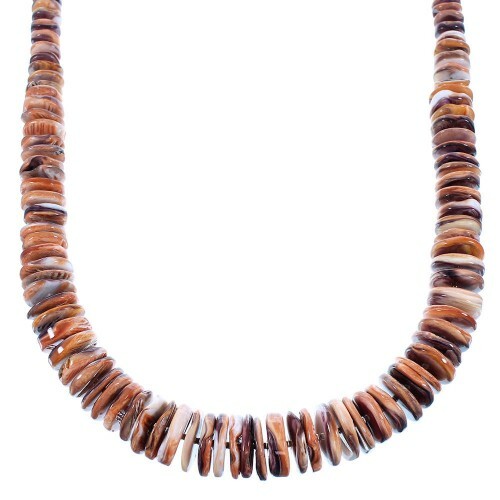 Each end of the necklace is completed with a silver cone and bead for a perfect look. The cones are stamped sterling.